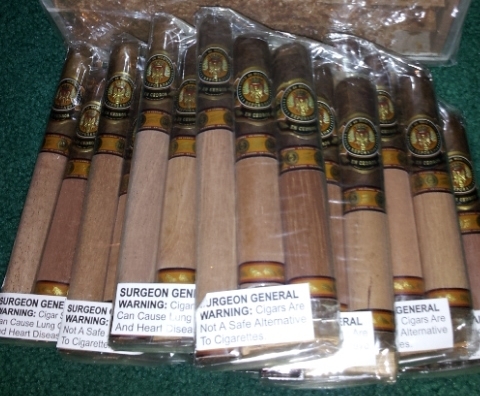 In the spirit of the Hoyo De Monterrey box a day give away going on now… http://hoyodemonterreycigar.com/promotion/ I will be also giving away some Hoyos, I have a handful of 3 cigar samplers that I will be randomly giving to commenters on the site. All you have to do is post a relevant comment in the following days posts. I will be asking about random things, such as how you got into cigars, or what makes a great B&M. The commenter that I feel posts the best comment will win a 3 pack of Hoyo De Monterrey en Cedro! I will be posting the first Question today. I suggest if you do not visit ITH much that you subscribe to my email feed so you can get the questions emailed to you. P.S. This contest is all in fun, please do not get upset or start flame wars in the comments sections. US Residents in the lower 48 only please! No purchase Necessary, must be at least 18 years old to win. It’s seen a link on reddit, thought I’d have a look and behold I am the first comment. Woop. Never tried any Hoyo De Monterrey, will be keeping an eye out. Man, I’d love a chance at winning one of these. Just starting out and it’s tricky learning what is and what isn’t a good smoke. I went to the Hoyo site, and after enterring, read the rules. I’m in Virginia and cannot win from them. Oh well..